An Israeli Druze MP has been helping get Succot supplies - notably wine - to Jews in Arab countries. Arutz Sheva can't tell you who took what to whom and where - it's all too sensitive - so just take their word for it! An unidentified rabbi and a Jew from an Arab country have completed a secret and dangerous mission to bring wine and the”four species” to Jews in Muslim nations, which have made life difficult for them. 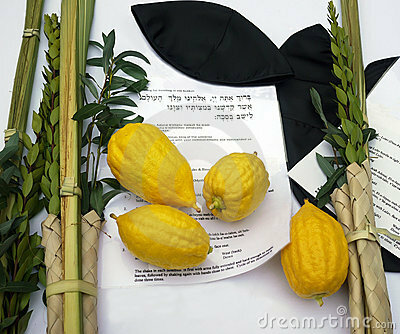 Wine is prohibited by Muslims, and most Arab countries do not maintain diplomatic ties with Israel, which would allow importing “lulavim, etrogim, hadasim and aravot,” the four species that Jews hold together during blessings on the festive holiday of Sukkot. Likud Knesset Member Ayoob Kara, who is a member of the Druze faith, told Arutz Sheva that as Minister for the Development of the Negev and Galilee, his work brings him into contact with people in Arab countries. "Before Sukkot, Jews in Arab nations asked me for several important items they do not have, such as wine, lulavim and etrogim,” MK Kara said. The MK contacted a rabbi, who is not connected with the Office of the Chief Rabbi and whose name remains anonymous, for obvious reasons. The rabbi was able to carry the products abroad and meet with a Jewish emissary from Arab countries, whose name also cannot be published. "The Arab Jew Refugee cause"
That says a lot more about the anonymous poster than about the message. Rest assured, I don't intend to give Jonathan Cook or his evil twin Ben White any more publicity. And we have heard enough from Derfner, Shenhav, Gideon Levy, etc to anticipate the same old feeble and insulting counter-arguments. What I find interesting is that no Muslim born raised and living in Arab country where the Jews have been expelled from came forth to argue. They know better. On the other hand, the clueless like Larry Derfner and Gideon Levy rush to push our heads back below water. Had Jonathan Cook approached this question with seriousness and honesty it would have been an other matter. Have you noticed that these Arab media never allow comments below the article? It says a lot about their confidence in their own case. "For the first time in its history, Israel is seeking to equate millions of Palestinians in refugee camps across the Middle East with millions of Israeli citizens descended from Jews who, before Israel's establishment in 1948, lived in Arab countries." Can you imagine the time it'll take to fisk just that one paragraph? Look, we're living in a time when people who are supposed to be sane consciously reject historical facts, whether the Shoah or the existence of the Jewish temple in Jerusalem [in Bayt al-Maqdis, an Arab name for the city derived the Hebrew name for the Temple, Beyt haMiqdash]. Most of these people are resistant to changing their minds, even after the truth has been reasonably proven to them. The truth doesn't serve their purpose at the moment. But make no mistake. They know what it is.